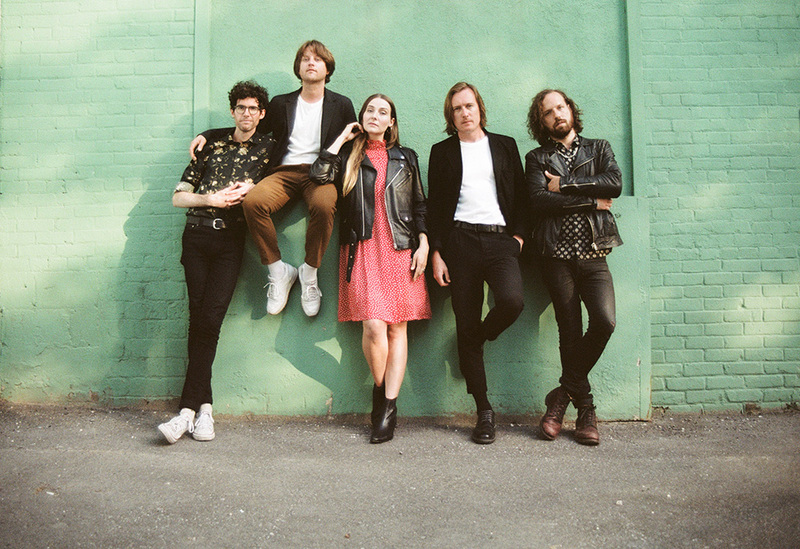 Originally from Kelowna, BC, Yukon Blonde have called Vancouver home since 2009, during which time they've explored much of what the coastal city has to offer. As they prepare for a summer of festival touring in support of their latest album, Critical Hit (out now on Dine Alone Records), keyboardist Rebecca Gray and drummer Graham Jones gave us a tour of Vancouver. Location photos by Joshua Grafstein. Picture yourself navigating down a fairly serious set of about 500 wooden stairs, with or without clothes. Finally, you make it to the bottom of the cliff and find yourself a cosy little spot to lay out your beach towel. Now, look out for the cool guy walking around with a fanny pack of psilocybin gently grazing his private parts. Enjoy. A great little spot where you can find an array of artistically inspired vegetarian dishes and cocktails that change daily. Mostly consisting of foraged wild ingredients, this is a go-to for a slightly more upscale meatless vibe. Plates are treated as though they're canvases. Love it. There's an abundance of sushi spots in Vancouver; this little one is a favourite — not strictly sushi, it also dives into poké. Owner Yuki, who hails from Hiroshima, has a bunch of memorabilia from his favourite hometown baseball team up on the walls. Favourite brunch spot in the city. It's cheap, the food is healthy and delicious, and they make a mean Bloody Maria (vegan Caesar with tequila and house pickled veg). Whatever you do, get the cornbread muffins with honey butter. The Lido on East Broadway is our local for libations. There's always a bud behind the bar, always a familiar face having a drink, always great music, live or otherwise. It's also basically furnished like all of our living rooms as well, so its extra comfy. Good vibes all around. Close seconds are Uncle Abe's, The Rumpus Room, and Graham's house. There are many wicked record stores in this city, something that we are incredibly fortunate for. Record Store Day is always a real event here, turning Main Street into a block party. The ones I shop at mostly are Neptoon, Red Cat, Dandelion and Audiopile, but I'm always up for a good dig in any city.